The traditional holiday meal on California’s North Coast consists of Sourdough Bread, Fresh Dungeness Crab and White Wine. 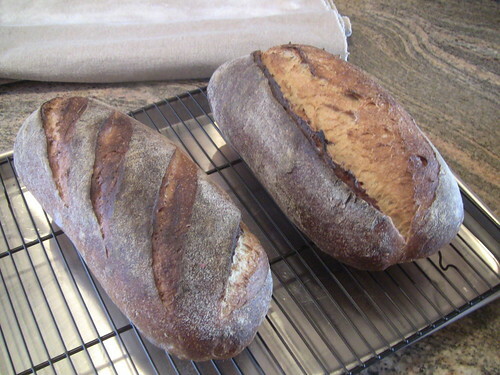 By family demand, I made some San Francisco Country Sourdough for the Crab feast. It was the best I’ve ever made. The firm starter was fed the morning before the dough was mixed. Then the evening before mixing, a liquid starter was made. The dough was very active and airy. 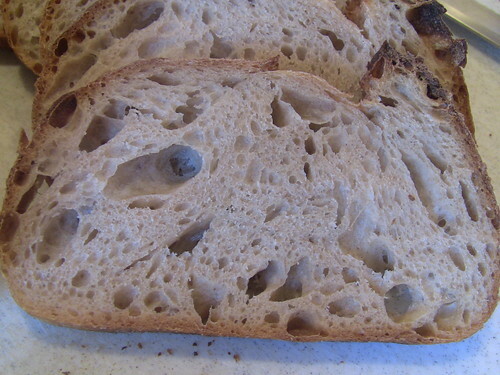 The bread came out with a crusty crust and chewy crumb. Excellent flavor. The only problem is the holes are a bit too large and the horseradish sauce slops through. 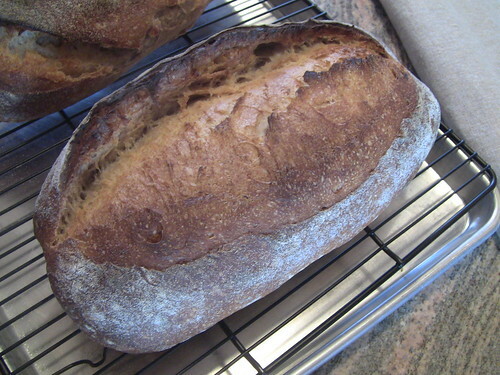 By the way, the formula can be found here (http://www.thefreshloaf.com/node/22679/spring-air…and-oven). Happy Holidays to all, and may your feasts include great bread. Those loaves were great, but they disappeared really fast. Baking more tomorrow for the next round of holiday house guests. Best new year wishes to you, too. The very best to you and yours for the coming New Year! And to you and yours, Sylvia! Thanks for all your nice comments. You are too kind. be proud of this bread Glenn because there isn't any wrong in them! Just beautiful baking. You can't have crab with white wine without this bread to sop up the juices - it just isn't done! Glenn. 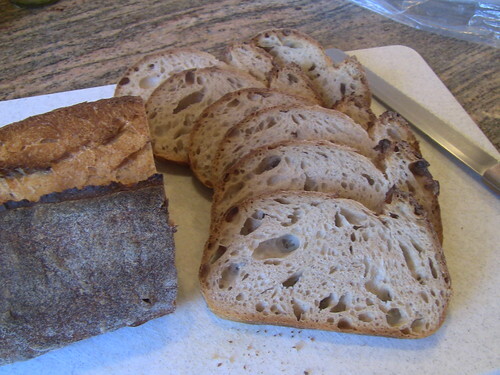 Makes me want to drop my rye/pumpernickel adventure and head right back to SF Sourdough country! Nicely done. Those will make some amazing sandwhiches or accompaniment to some chowders/stews. This bread is a really good accompaniment for soups. It's really made for open face crab sandwiches, though. And I sure it would taste great with fresh Maine crabmeat, too. Thanks, Karin. Best wishes to you, too. One way to keep the sauce from running through the holes is to smush the sauce, bread and crab all together, add a few fried onions and some capers - and fry up the crab cakes. 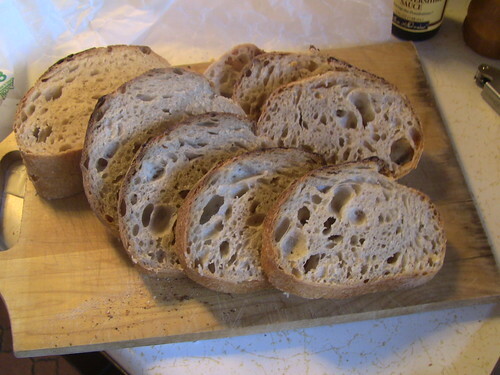 I hate to use nice fresh sourdough for bread crumbs, but the bread seems to disappear before it's stale. Maybe I could just plug the holes with capers (or olives for the bigger ones).